All our financial and marketing experts are all time ready to give Bankable Project Reports for Agriculture to our precious patrons. We provide best ways to the farmers to let them have bank loan on their project. We show nice relationship with consumers. Keystone provide you all measurement sheets, Item wise & Floor wise Sheets, abstract, Pie Chart, Built - up Area wise break - up, also provide customize report Formats. If we are any business various kind or reports are needed, Associates provide the facility to prepare and maintain the periodically changes in the Report. 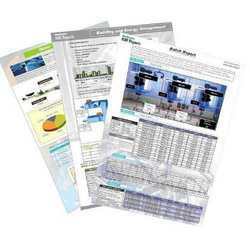 JAMS custom reports are delivered to integrate with Cisco Web view Reporting tool thus harnessing the existing power in the proven Web view tool. Preparation of DPR (Detailed Project Report), Bank Loan Praposals etc. There are many ways to get data into a report, but that's only part of the solution. An effective report creates a compelling story and communicates with clarity to audiences large or small. Datacube BI can help you get there with informative reports that lead to sound decision making. When critical information is available in real time, and in an easy –to –use- form, organizations experience two major benefits.
! An increase in the value of information as more users leverage available information.
! An improvement in cooperate performance as a result of better decision making. 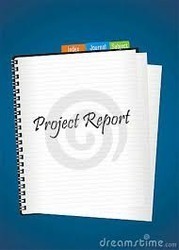 Preparation of Details Project Reports. - We understand the client need for fully integrated study reports incorporating investigator and client requirements, while adhering to applicable regulatory guidelines and ICH-GCP norms. Report - file making options (automated periodical report generation) - all whats required is "print command"